I love their line work and color palettes, everything is well thought through and put together. They are able to pull emotion both from the piece and from viewers alike. They have a very unique style and stay true to it even when not drawing original characters. You can actually feel the emotions that they have drawn and it is easy to get lost in a peice. Very, VERY unique work! The use of your own style and recreating other characters whilist still holding them to their personalities is definitely her gift. Princess Mononoke is my favorite Studio Ghibli film so, of course, I vibed with this artist's style a LOT. Love her work! I truly fell in love with Sophia’s art. The variety in topics she interprets makes me speechless. 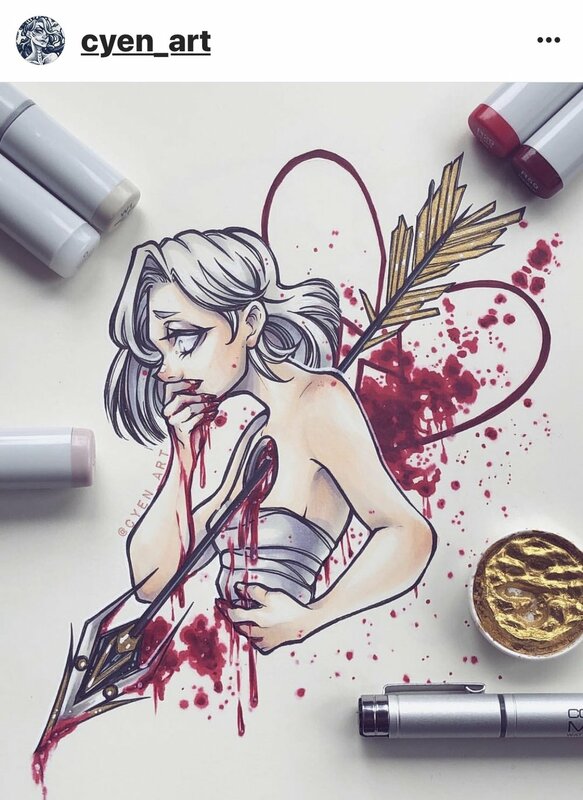 When I see her art I think back to a different twist of anime and fantasy. Rather than the same thing over and over again she takes a new angle to each piece. 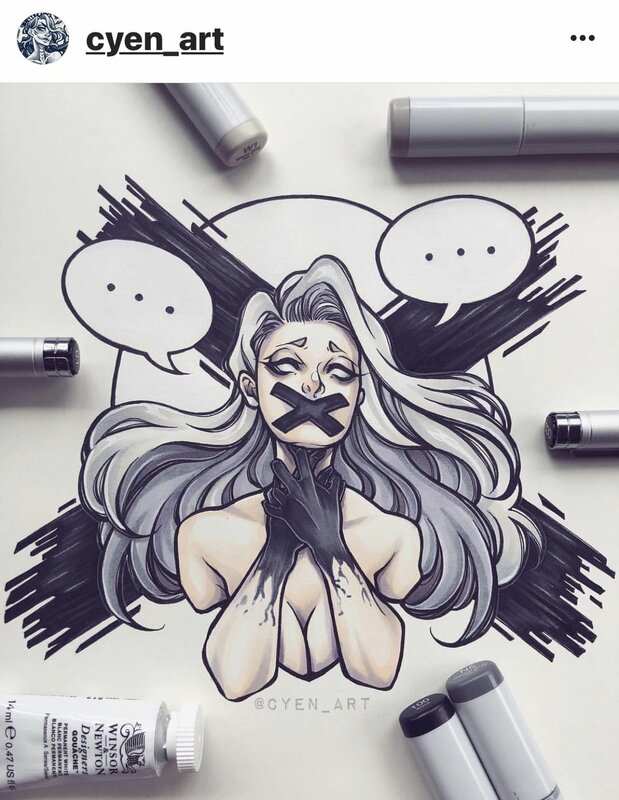 I personally love the witch like piece (the second photo on this page). 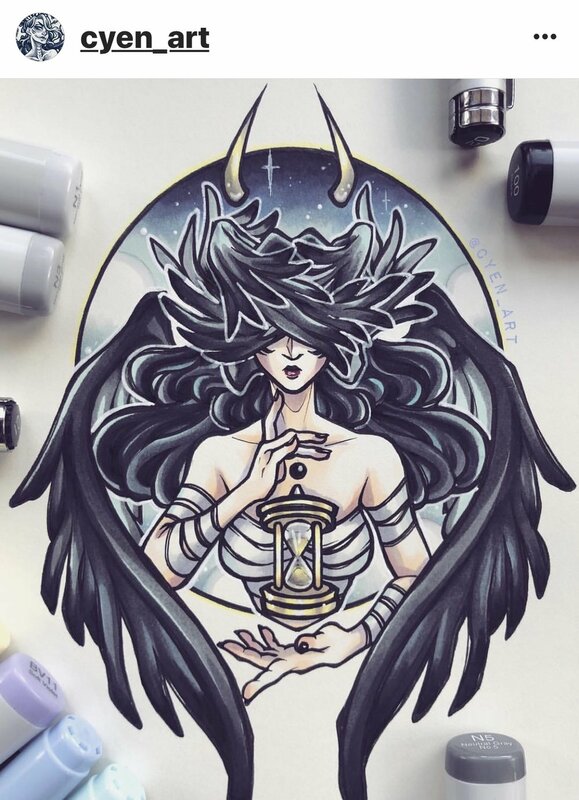 I am a major fan of the world of Wicca and when I saw that specific piece I immediately thought of the goddess of dark. Her work is truly inspirational. Check out Sophia’s work on her instagram page!